Here is a typical instance of the pathetic case of Nigerian politics and politicians. 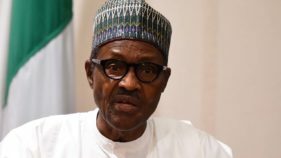 For months, PDP and other fellow travellers in the rickety political bandwagon, pressurised APC and President Muhammadu Buhari to make their views known on matters of the moment such as the devolution of powers, resource control and state police. APC, as a ruling party, saw the wisdom in taking a stand on these issues, if only because it is detrimental to its political health to either padlock its lips over them or stick to its arrogant insouciance. 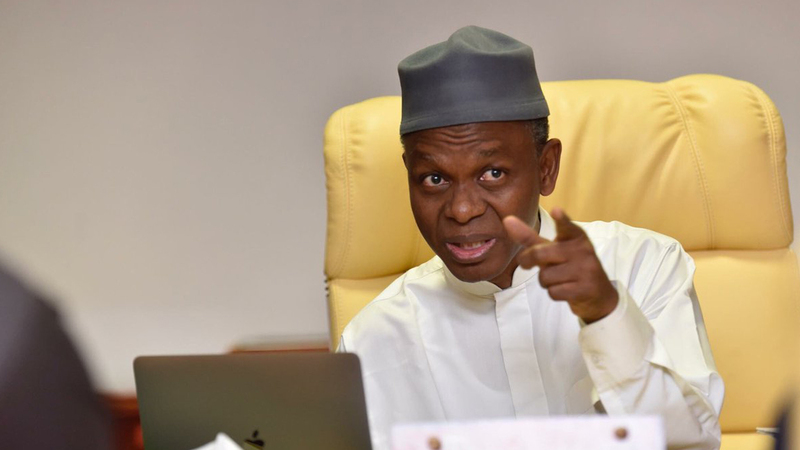 It set up a committee headed by Nasir El-Rufai, governor Kaduna State, to look into those matters and advise it on the position it should take.The committee submitted its report to the party January 25. I welcomed the report. From what I read briefly of the committee’s report in El-Rufai’s press briefing, I thought the committee offered some sensible views that should make us gather at the market place of ideas for a robust and informed public debate, on, to use the popular phrase, the way forward. The recommendations are not fundamentally different from what some us have been advocating but coming from a committee set up by the ruling party, it represents some important shifts worth noting. The committee made a sensible distinction between the ownership of on-shore and off-shore oil resources. It wants the states to own the former and the federal government to own the latter. Its recommendation that policing should be moved to the concurrent legislative list to constitutionally empower state governments to set up and fund their own police is an acknowledgement by the committee that the current policing system is inefficient and inconsistent with the tenets of federalism. The committee also recommended the scrapping of the local government as a third tier of government. This is in line with the views of many of us who believe the local governments should be entirely the business of the states as indeed, they were until the Babangida administration took it upon itself to create them and thus brought the system to the orbit of the centre. The system then made its way into the revenue allocation formula with the implication that the more local government areas a state has, the more money it earns from the federation account; hence the late governor of Bayelsa State, D.S.P. Alamesigha, created 18 new local governments. There has been considerable controversy over these issues. But it seems to me that the committee was courageous in accepting that we need to urgently put them right and to rest in the shortest possible time, if only to cool the political temperature. I find it shocking that the politicians who have commented on the report see nothing right with both the APC decision to set up the committee or the report itself. No sooner the report was made public than hell, as it always does when things are viewed through the colourful prism of politics, broke loose. 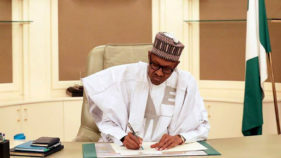 APC found itself swimming in the swamp of outright and instant rejection of the report, even before it has had a chance to offer its own views on it. A Guardian newspaper front page lead of story January 28 showed the politicians falling over themselves to rubbish the report. 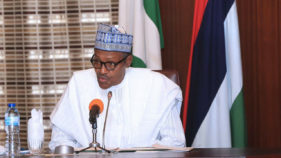 None of them dealt with the substance of the report but each of them latched on to the suspicion that APC leaders were not motivated by the good of the country but entirely by their own political interests – as if political parties, in or out of power, are motivated by anything else but politics. Here are some of the typical responses to the report: Chief Chekwas Okorie, chairman, UPP: APC is just grandstanding for election purposes.Dr Junaid Mohammed” APC is toying with the intelligence of Nigerians.Nyesome Wike, governor of Rivers State: APC is trying to hoodwink the people.We are familiar with such typical reactions to other people’s opinions. We conduct its public discourse with only two words: yes, and no. When one side says yes, the other side must say no. I bet that those who are shooting down the report with poisoned arrows have not even read it. Had APC party set up this committee shortly after coming to power in 2015, I bet its decision would not have been less ascribed to ill and selfish motives than it is now. A political party owes itself the moral duty of taking steps to enhance its political fortunes. Everything a political party does is essentially political and geared towards reaping political mileage or dividends from the public space. It is not right to dismiss the recommendations of the committee the way some of the politicians are doing because it would only deny us an opportunity to make some critical intellectual inputs into how we are governed and how we wish to be governed in a federation. No nation solves its fundamental problems without allowing itself to be open-minded about proffered solutions to them. Each time we shoot down proffered solutions to our problems, we lose the chance to take a step forward. Our country for much of its history, has been held hostage to manufactured irreconcilable differences. Some of us take implacable positions and refuse to shift – for political reasons, of course – on the grounds that nothing good ever comes from the Nazareth of one political party or the other. Those who take delight in shooting down the report are not motivated by anything more noble either than political posturing at the expense of APC. If we must restructure – physically or administratively – we should begin from somewhere. In my view, the report of the El-Rufai committee is a good starting point. It is not mealy-mouthed. It is unambiguous, whatever might be its warts. What is required of the politicians is to examine the recommendations in the light of the current agitations for restructuring and see if it speaks to our fondest hopes in a better nation freed from the current stifling system anathema to best practices in federalism. Moving the nation forward is the task the politicians took on themselves to seek the consent of the people to govern them at all levels of government. Putting the recommendations of the committee into effect is a long and tortuous process, requiring constitutional amendments. There is no better time to begin that process than now. The PDP or any other political party in power can fare no better with these issues. We lost the chance under President Jonathan to effect some fundamental changes in the nature of our federalism by robustly debating the recommendations of the political conference convened by the president. Let us not miss the chance again. The health of our nation does not require vitamins; it requires pragmatic politicians equipped with intellectual detachment who put the nation first, not in words but in words and deeds.